We'd gotten a box of tofu (the 6 pound box, that is), so I needed to find a way to use it all before it turned into Stinky Tofu. 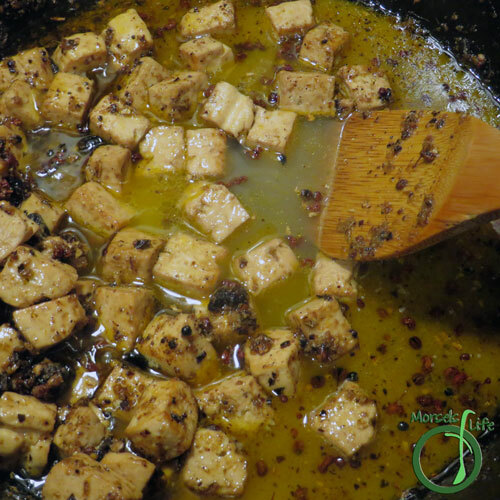 I'd already made several versions of my usual tofu sticks, and James kept requesting MaPo Tofu. So MaPo Tofu it is! 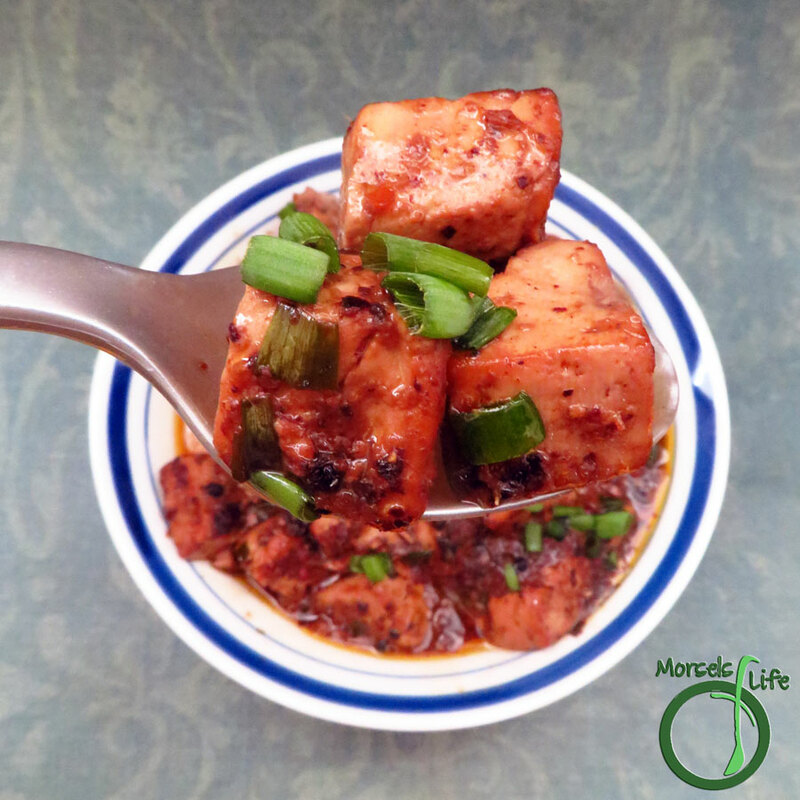 MaPo Tofu is originally from the Szechuan (although I think the current spelling is Sichuan) province of China. It's got tofu (obviously) cooked in a fiery and intensely spicy sauce flavored with fermented black beans, chili, and Sichuan peppercorns. Those Sichuan peppercorns! They're actually not tooooooo spicy. However, after eating some, you'll start to feel a spicy numbing sensation (mala - 麻辣 in Chinese) in your mouth. This hot spiciness and numbing spiciness combo characterizes Sichuan cuisine. 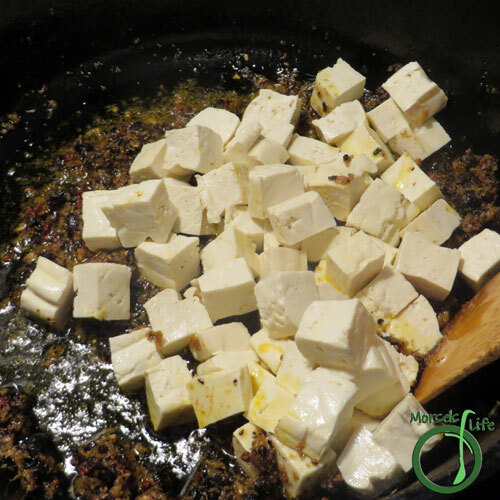 MaPo Tofu will sometimes contain ground pork as additional flavor, and you could add a bit if you'd like. I didn't because I didn't think of it until too late. And then, it was, well - too late. 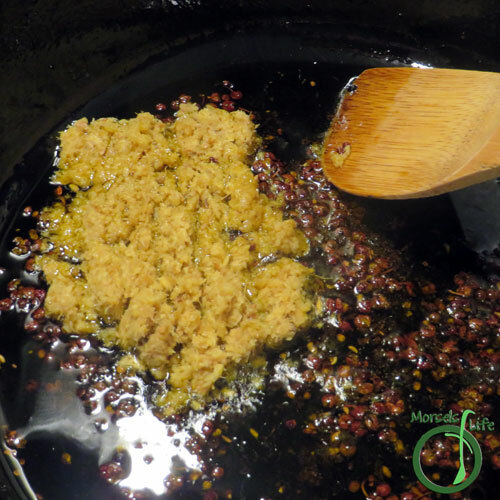 You may notice a few ingredients you don't normally keep on hand - Sichuan peppercorns and fermented black beans. Both are available at Asian groceries or some better stocked groceries, and I am noticing the Sichuan peppercorns more frequently. Sometimes they're labelled as pink peppercorns. 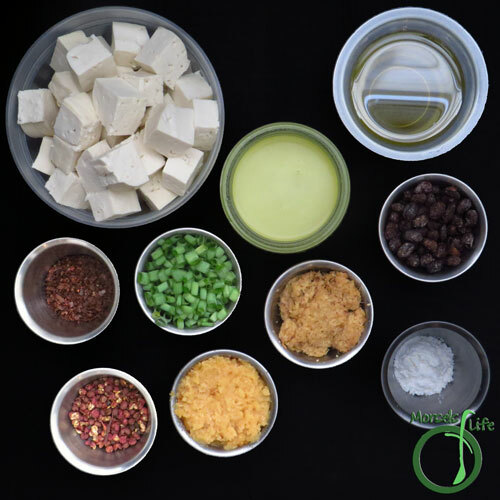 I know I always hate buying a bunch of stuff I'll only use once, but once you've made this MaPo Tofu, you'll definitely want more. You could also make Pink Peppercorn Hot Chocolate with the Sichuan peppercorns, and the fermented black beans work wonderfully as a flavoring for lots of different stir fries. One of my favorites is a bitter melon stir fry. Do you prefer things more on the spicy side or the mild side? 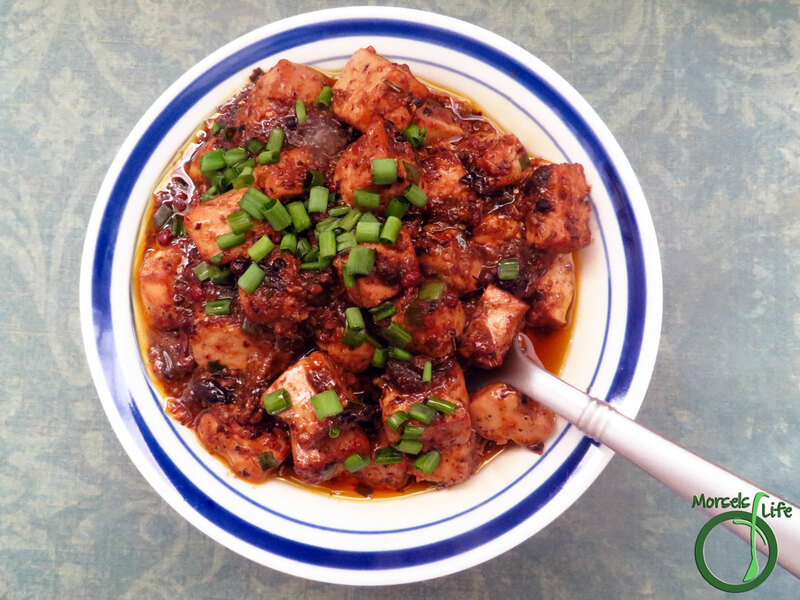 A popular Sichuan dish - you'll want to prepare your tastebuds for this bracingly spicy MaPo Tofu flavored with fermented black beans, garlic, ginger, and Sichuan (pink) peppercorns. 1/4 cup oil I used olive oil. 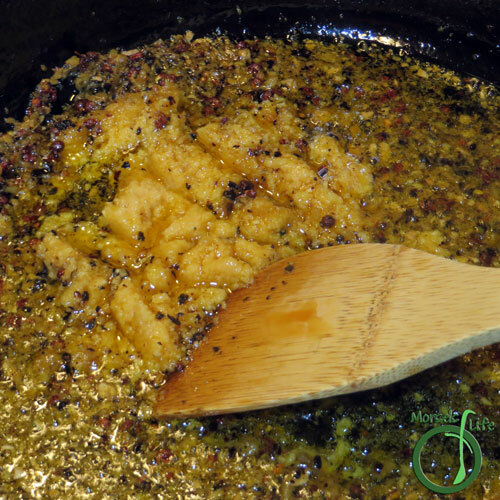 You could also use hot pepper oil for some additional heat! 2. 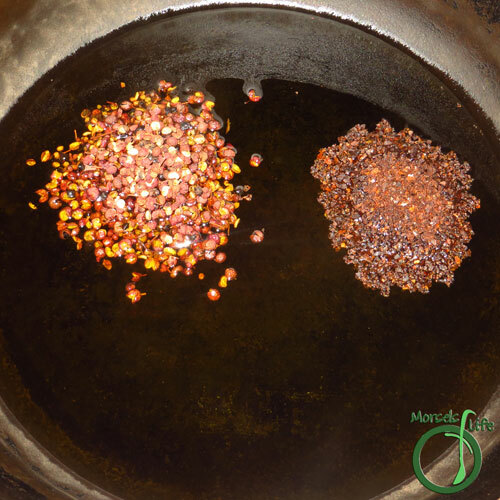 Heat Sichuan peppercorns and chili pepper flakes in oil until fragrant. 4. Mix in garlic, cooking until fragrant. 5. 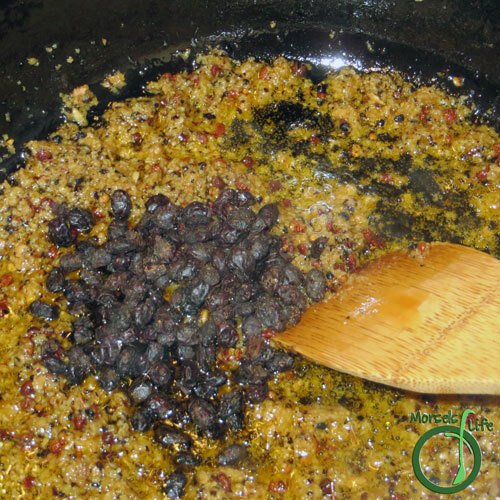 Add in fermented black beans. 6. 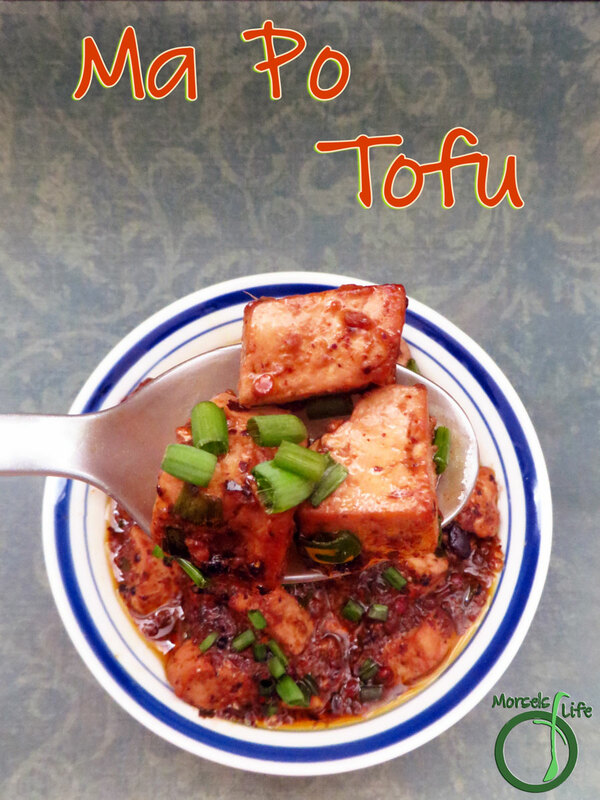 Toss in tofu, making sure it's cooked in the sauce. 7. Mix corn starch into chicken stock, then pour mixture into pot, simmering until thickened. 8. Throw in green onions, cooking until just wilted. Serve over rice and garnish with additional green onions if desired. 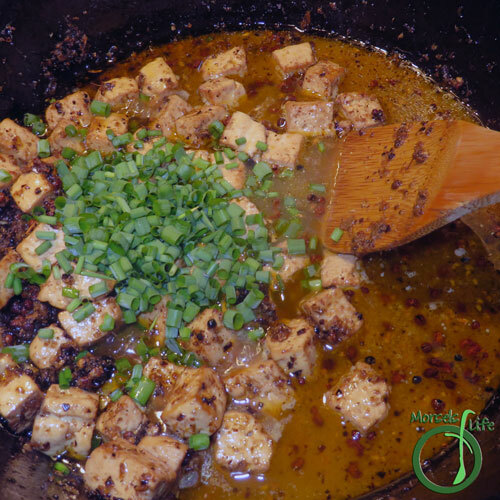 I love Sichuan dishes, mapo tofu is one of my favorites, I've never made it at home before, I will have to give this a try! Thanks for sharing at What'd You Do This Weekend? !